The kingdom of Goredd is populated by humans and by dragons who fold themselves into a human form. Though they live alongside each other, the peace between them is uneasy. But when a member of the royal family is murdered, and the crime appears to have been committed by a dragon the peace and treaty between both worlds is seriously threatened . . . 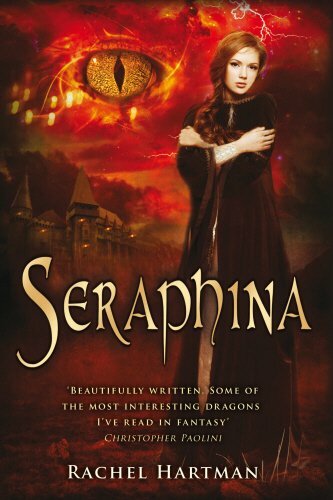 Into this comes Seraphina, a gifted musician who joins the royal court as the assistant to the court composer. She is soon drawn into the murder investigation and, as she uncovers hints of a sinister plot to destroy the peace in Goredd for good, finds herself caught desperately in the middle of the tension. For Seraphina hides a secret - the secret behind her musical gift - and if she is found out, her life is in serious danger . . .